A wedding day happens once in a lifetime and we take that to heart. This day, that you have planned for over the past year or more, will fly by so quickly that you will hardly catch your breath. So many beautiful moments unfold during the day...amazing, once-in-a-lifetime moments! Capturing these moments forever is not just a job to us but a passion! I love the phrase "Keepers of Time" because truly that is exactly what we do. It is a blessing to capture authentic, emotional moments that will not happen again. A mothers hands who dressed her little girl are now buttoning up her wedding dress, a daddy dancing with his princess, a grandmother's embrace, and a man and woman who have always been two, now become one. What an honor to be a keeper of time! Hi there! We are Beth & Tony, a husband and wife duo in everything we do! It was truly love at first sight... and it has been a non-stop crazy ride!! Our approach to life is a bit non-traditional but we are so blessed and are loving every moment! WHY IS LANSING OUR HOMEBASE? We are in the perfect location to serve Lansing, Detroit, Ann Arbor and Grand Rapids! We are located right in the heart of the historic Old Town district. Make sure to leave some time after our meeting to eat! The famous Meat BBQ, The Creole Grill, and Zoobie's are within walking distance of our studio. WONDERING WHAT PAST BRIDES SAY? "My Fiance and I both agreed that one of the most important things to have in our wedding were great photographers! We looked at a lot of different photographers but did not feel quite right with one thing or another until we found Beth and Tony. 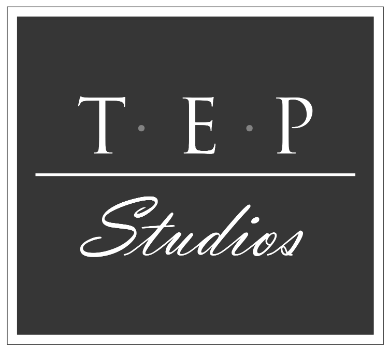 We had both engagement and wedding photos done and we are so glad we choose T.E.P Studios. Tony and Beth make you feel so comfortable, like you have known them for years! And they make it known to you over and over that it is "your day" they will do whatever you want, and whatever they can to make it perfect for you! Both our engagement and wedding photos were absolutely wonderful! Tony and Beth pay attention to every detail of your big day and capture it perfectly! You hardly notice they are there! Our family and guests at the wedding had nothing but good things to say about Beth and Tony! Definitely choose T.E.P for your engagement and wedding photos, you will not regret it!"